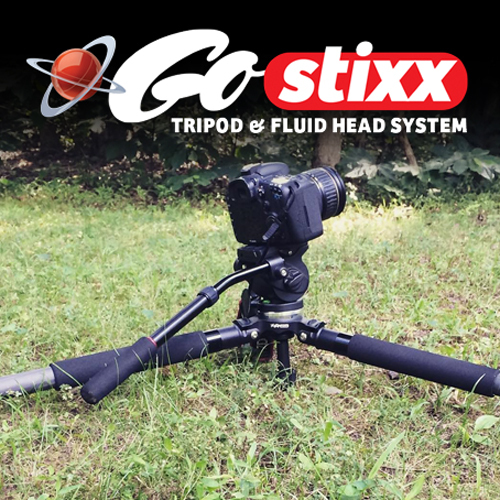 The Digital Juice GOSTIXX CF75 TRIPOD & FLUID HEAD SYSTEM is an affordable, portable tripod designed for everyday travel filmmakers and photographers who require superb camera stabilization that is both lightweight and sturdy. 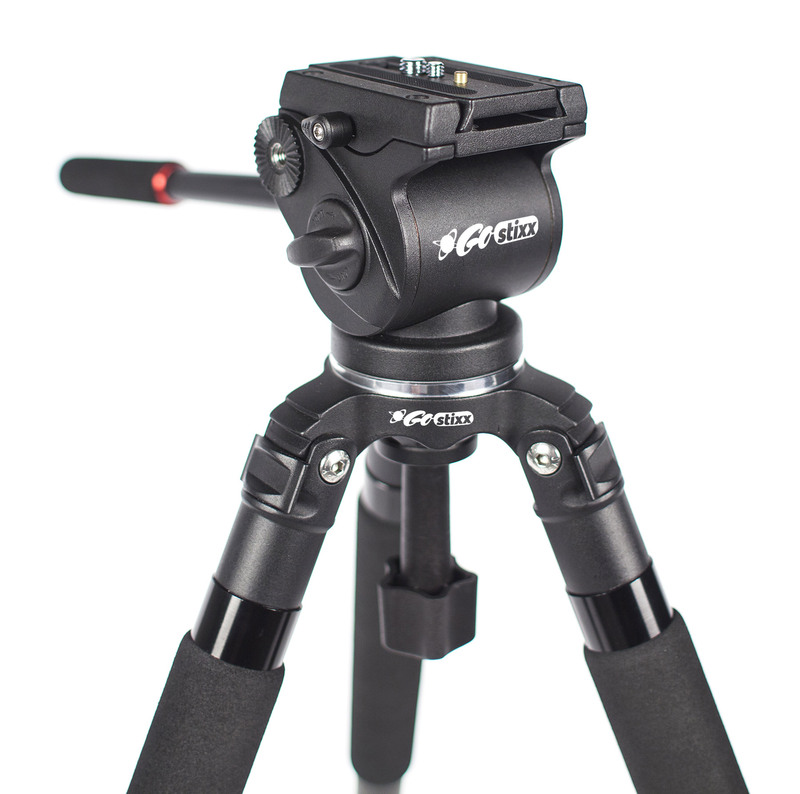 Perfect for DSLRs, small HD cameras and camcorders like Canon, Nikon, Sony, Panasonic, Samsung, Lumix, Olympus and many others, this budget friendly tripod features a carbon fiber leg design and a true 75mm fluid head for silky smooth pans and tilts. 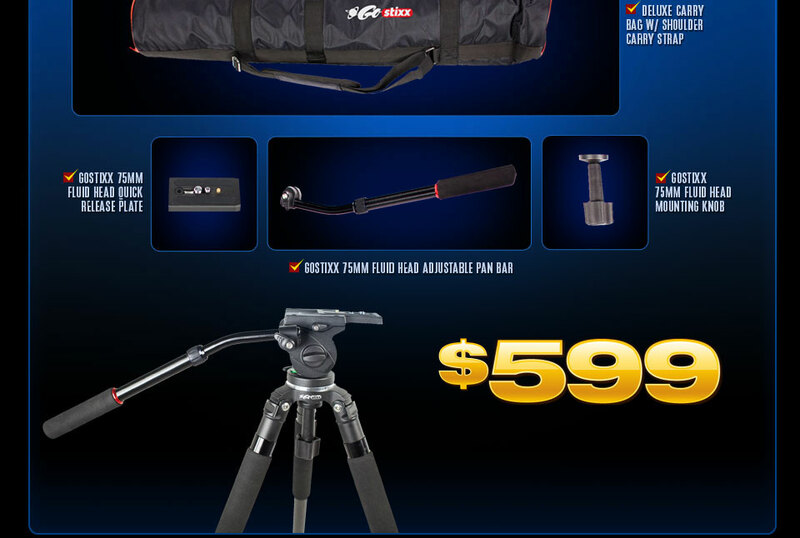 This lightweight camera tripod's carbon fiber design is sturdy enough for most camerawork, photography and production shoots, whether it's a rugged outdoors shot from the side of a mountain or an indoor wedding or corporate video shoot. 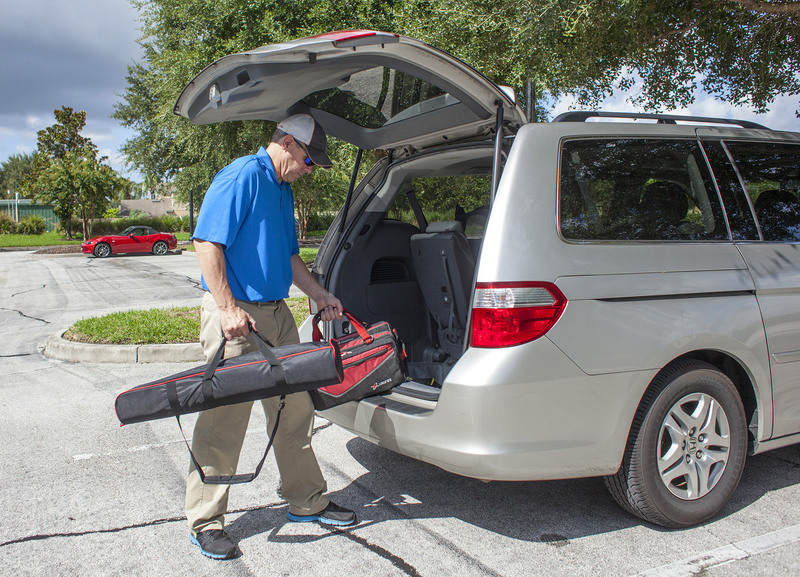 The telescopic two-stage leg design can be quickly adjusted with the easy-to-use flip locks and then secured back at the desired length. 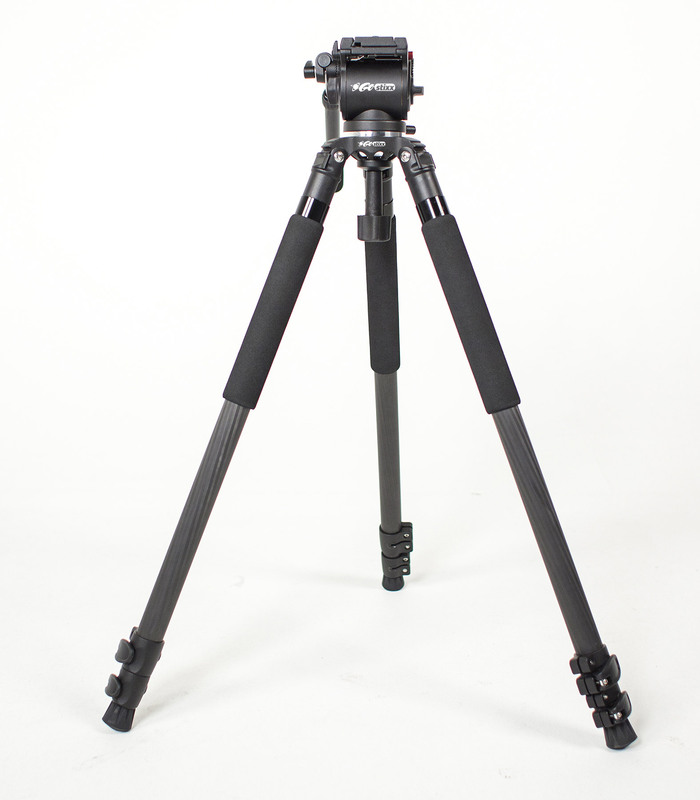 Rubber end caps on each leg help prevent the tripod from slipping when setting up on smooth surfaces and keep the tripod secure. 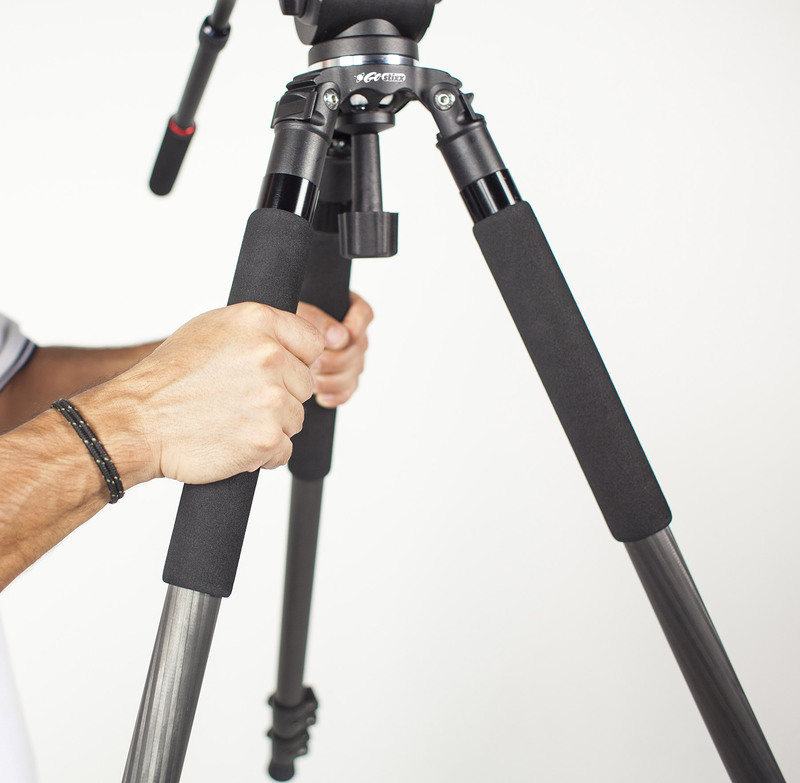 Soft neoprene-padded hand grips make this professional tripod easy to handle in all weather conditions. 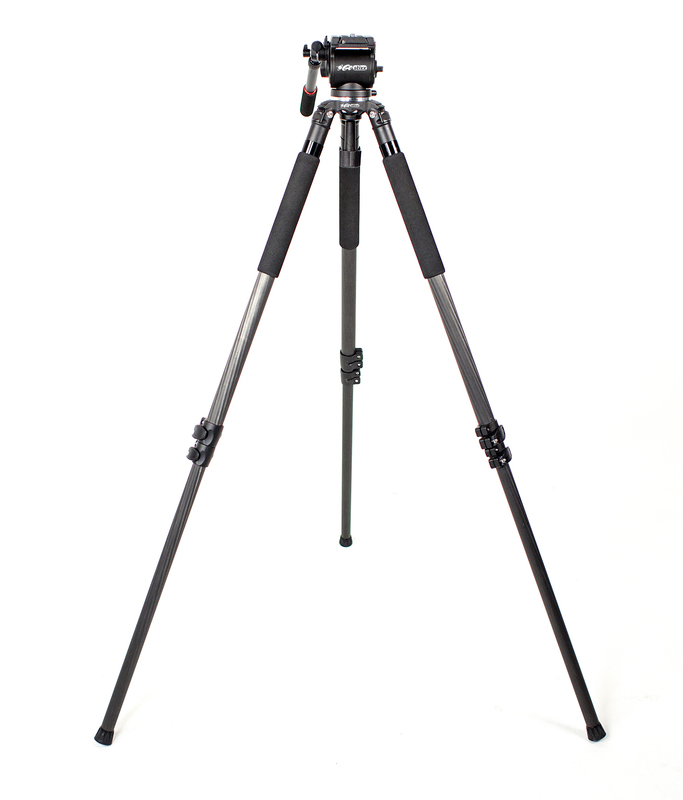 The legs themselves can extend up to 62 1/2 inches, ideal for pointing the camera down at a table or for looking your talent in the eye, yet they can collapse down to a compact 25 3/4 inches for low-to-the-ground shots or for an up-close and personal view of your subject. 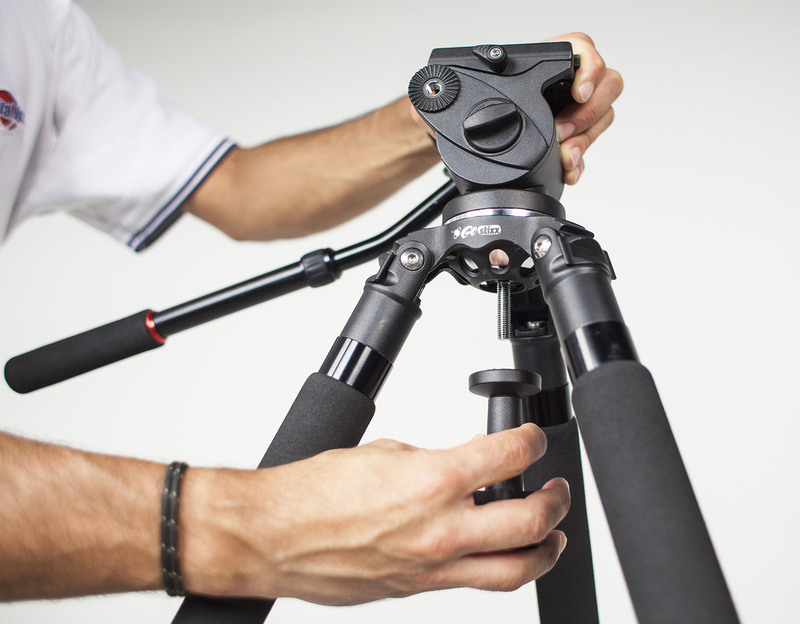 The extendable legs can be opened up wide to extend the tripod's center of gravity, as needed. 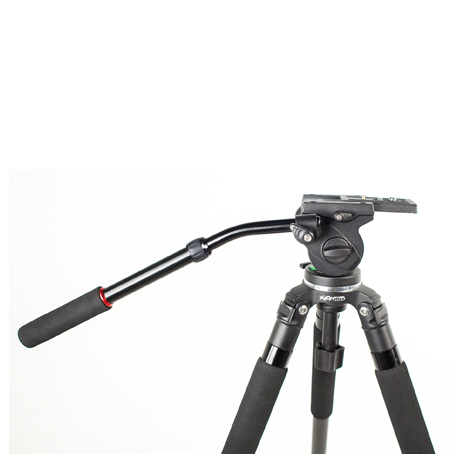 This video tripod�s versatile fluid head features a precision-machined 75mm ball that allows for fluid pans and tilts, perfect for tracking both slow- and fast-moving subjects, ideal for photographers. 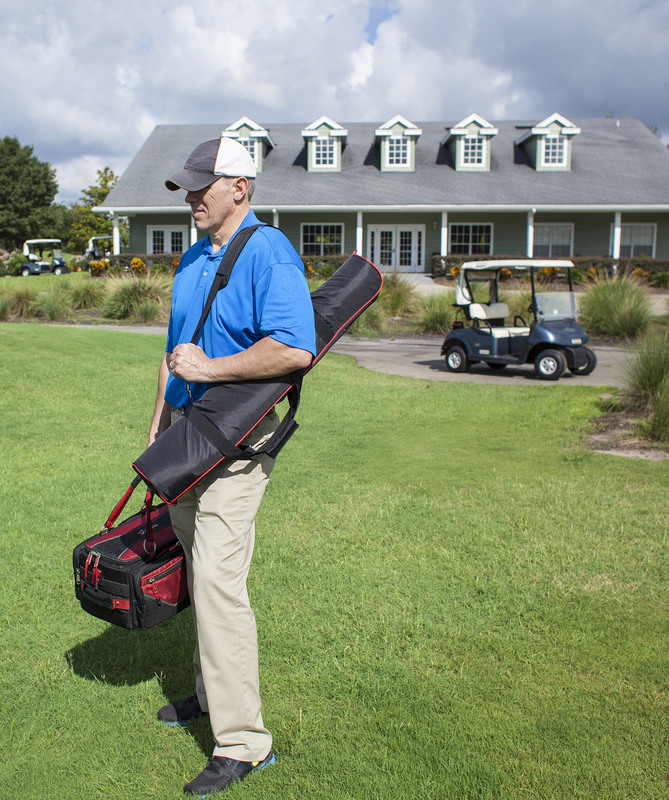 Although compact in design, the head includes must-have features such as a pan and tilt lock, bubble level, 3 1/2 inch (88.9mm) quick release plate, an adjustable pan bar with dual left and right mounting options. 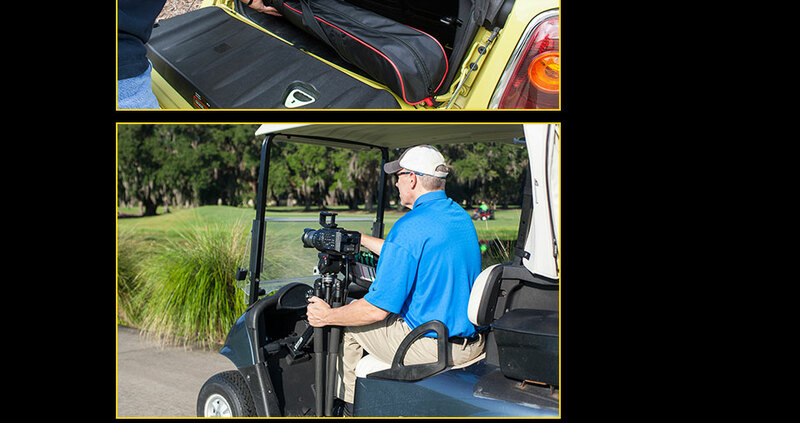 With a tilt range of 90� to -75� you are sure to capture all the action, regardless of whether you are standing at the base of a tree looking up, or on a third-floor balcony looking down. 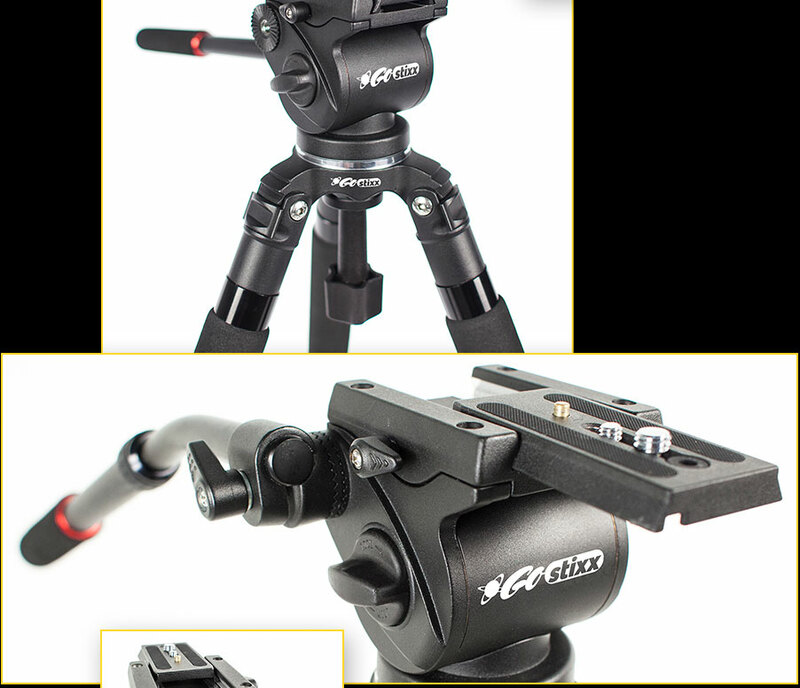 Plus, attaching the fluid head to the handy GoStixx CF75 tripod is a snap, using the included clamping knob, so it easy to set up quickly and get the perfect, stable shots and give videographers more versatility. 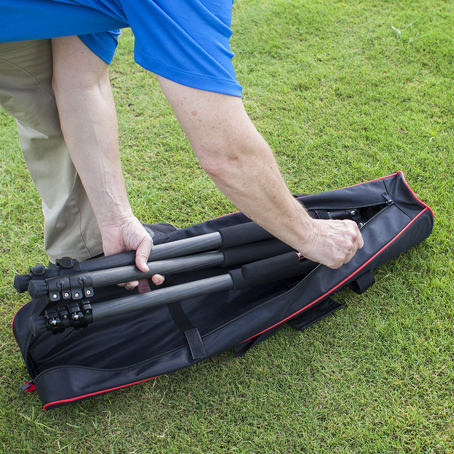 The tripod is easy to carry, climb, or run with from one location to another. Legs can extend to over 5 feet for eye-to-eye shots, yet collapse down to under 26 inches for low, or up-close and personal shots with your subject. 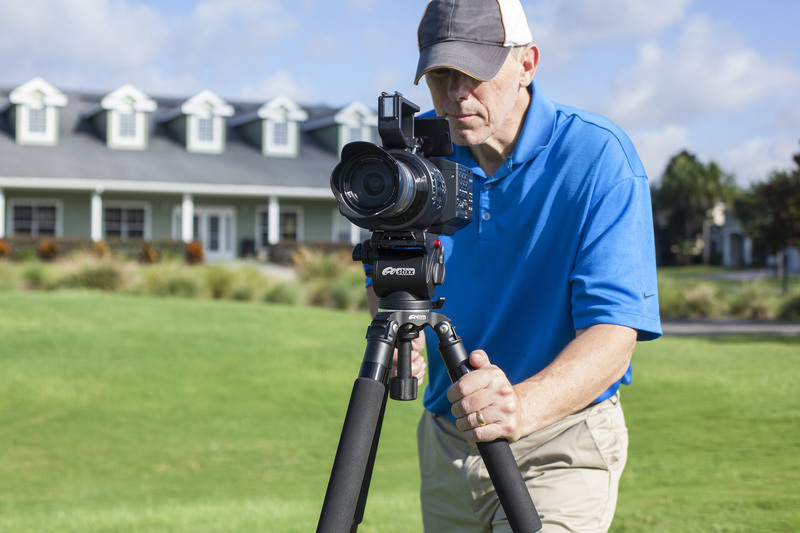 The tripod is easy to handle and maneuver in all weather conditions. 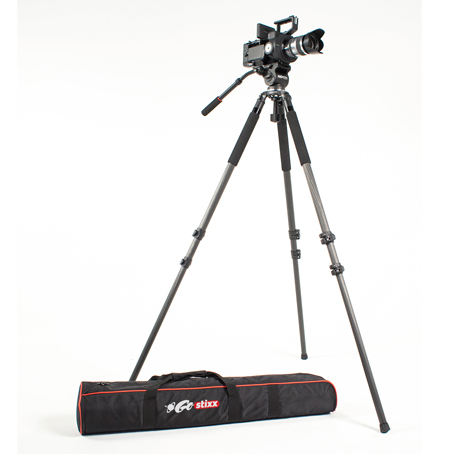 Allows for fluid pans and tilts, perfect for tracking slow and fast moving subjects. 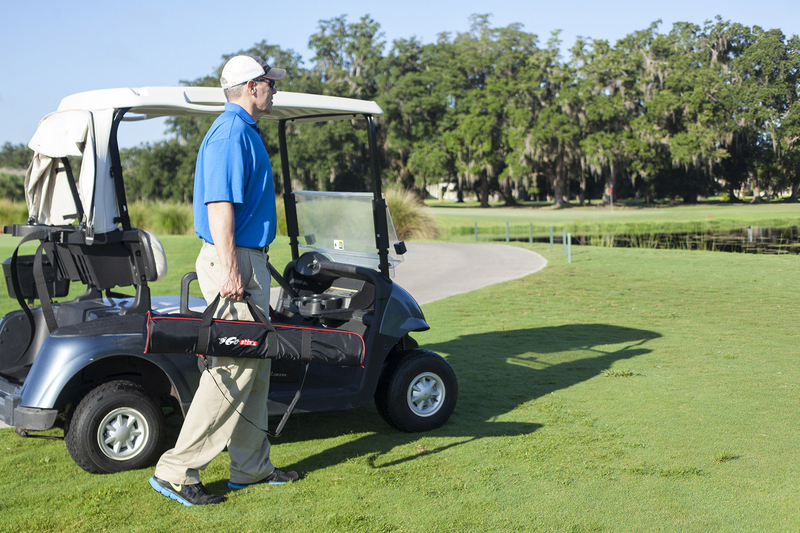 Helps ensure the head is level when shooting on uneven terrain. 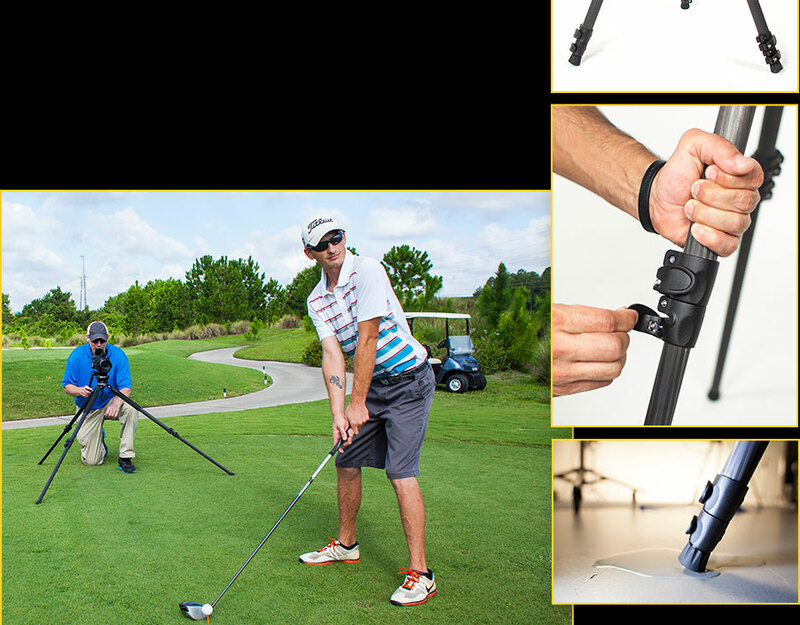 Increases your shooting opportunities including possibilities for everything from high-angle table-top food or product shots to low-angle perspectives which place the subject in a dominant position. 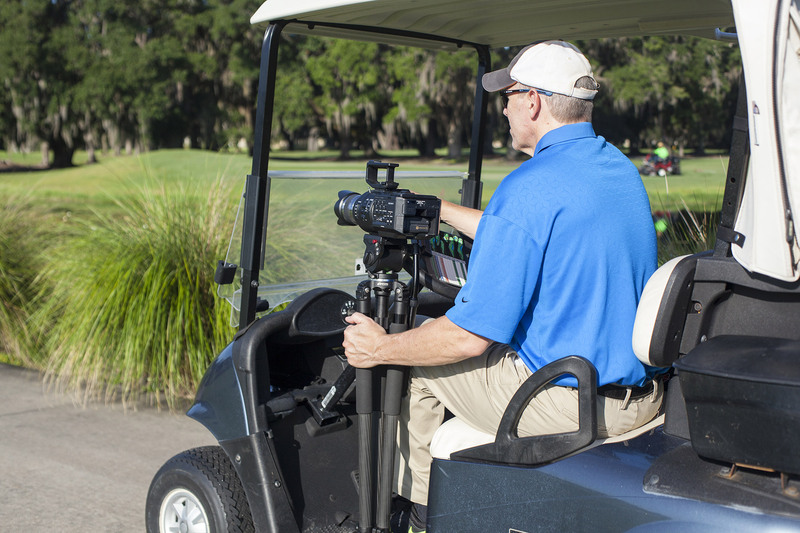 Dual mounting positions provides support for both left and right-handed shooters, while the ability to collapse or extend the pan bar lets you accommodate for the needs of the location or the weight of the attached camera. 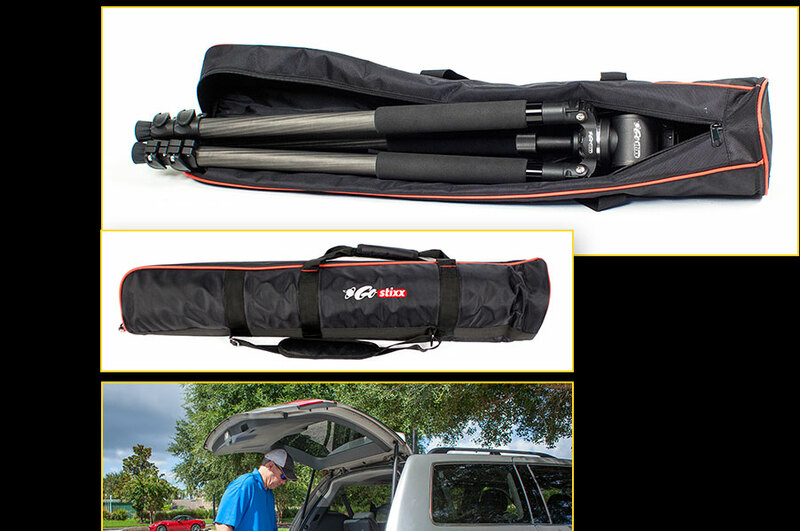 Easy storage and transport of your tripod and fluid head when moving to and from shooting locations. 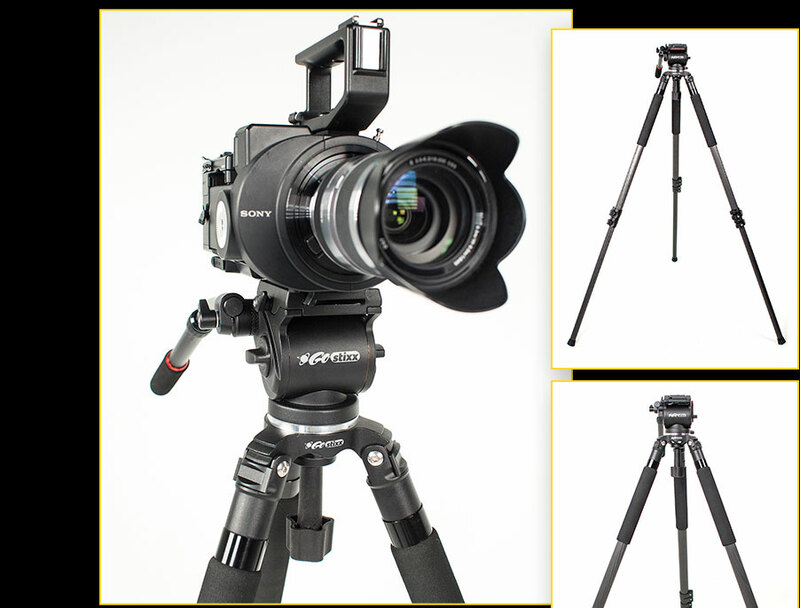 Lightweight, sturdy, compact camera tripod perfect for DSLRs, small HD cameras, camcorders, smartphones & GoPro cameras like Nikon, Canon, Panasonic, Samsung, Olympus, Lumix and more, the GoStixx CF75 tripod features a carbon fiber leg design and a true 75mm fluid head for silky smooth pans and tilts for video photography and filmmaking. 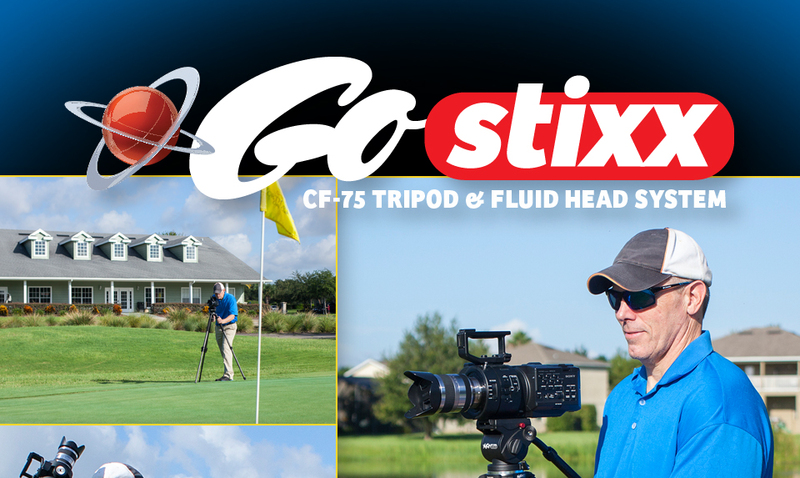 The two-stage telescopic leg design of the GoStixx CF75 allows the legs to extend to over 5 feet -- ideal for pointing the camera down at a table or for looking your talent in the eye -- yet they can collapse down to a compact 25 3/4 inches for low-to-the-ground shots or for an up-close and personal view of your subject. The legs can be quickly released and re-secured at the desired length, using handy flip locks on each section of the two-stage legs. 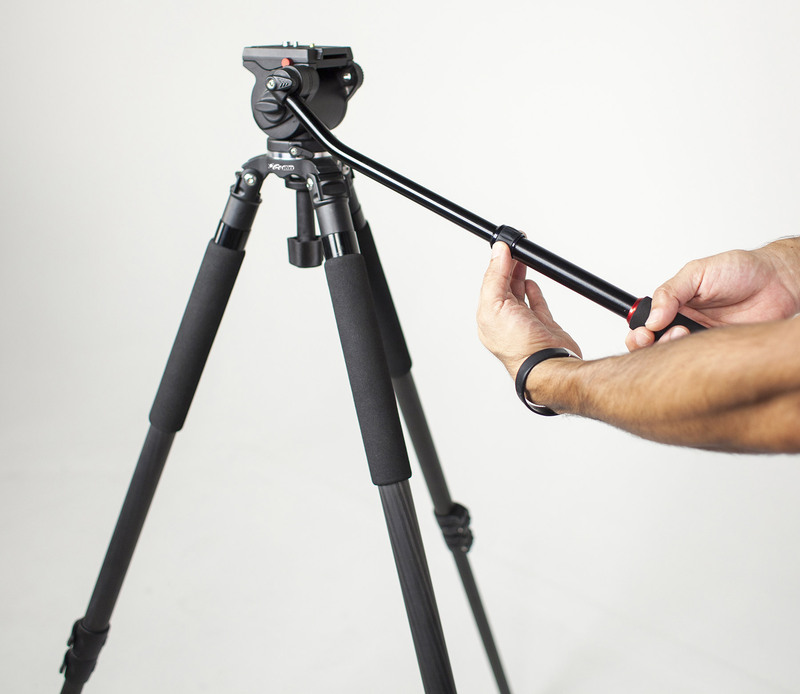 The tripod can also be opened up wide to extend its center of gravity, as needed. 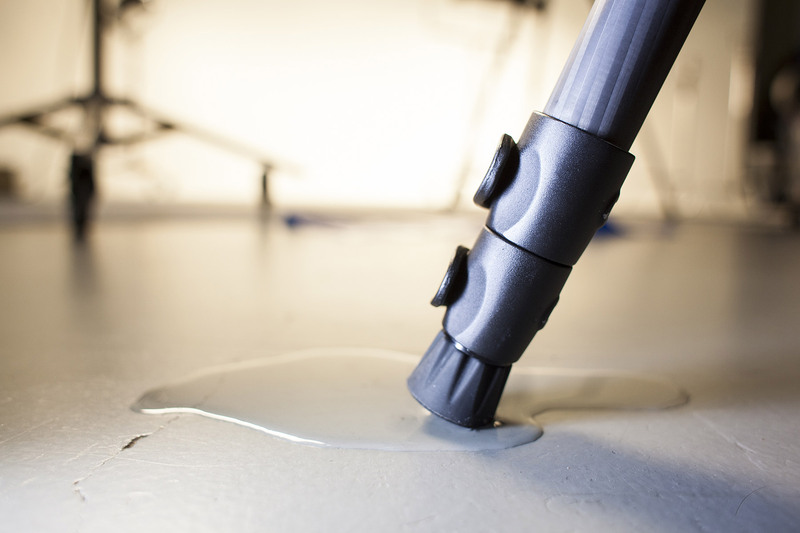 Rubber end caps on each leg help prevent the tripod from slipping when setting up on smooth or slippery surfaces. 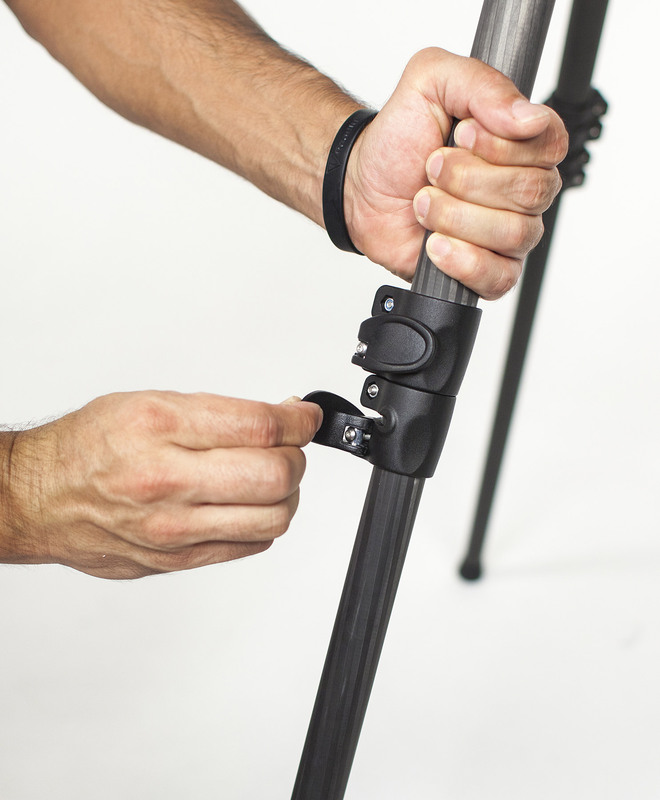 The lightweight carbon fiber design of the GoStixx CF75 tripod makes it easy to carry, climb, or run with from one location to another. 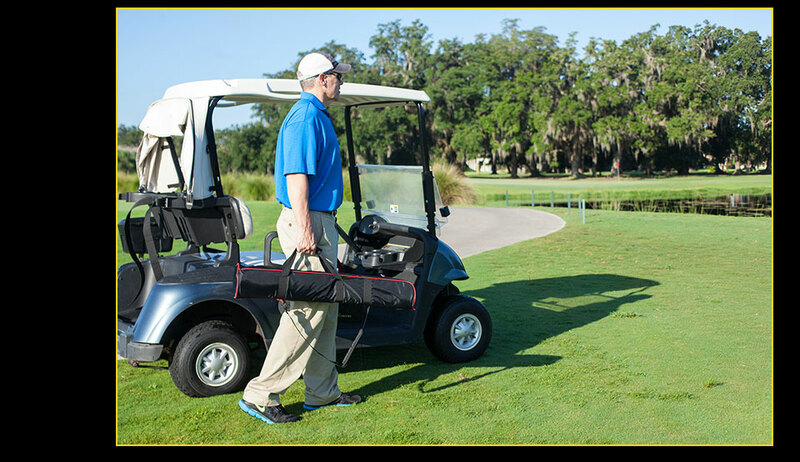 It's soft neoprene padded leg grips make it is easy to handle and maneuver in all weather conditions. 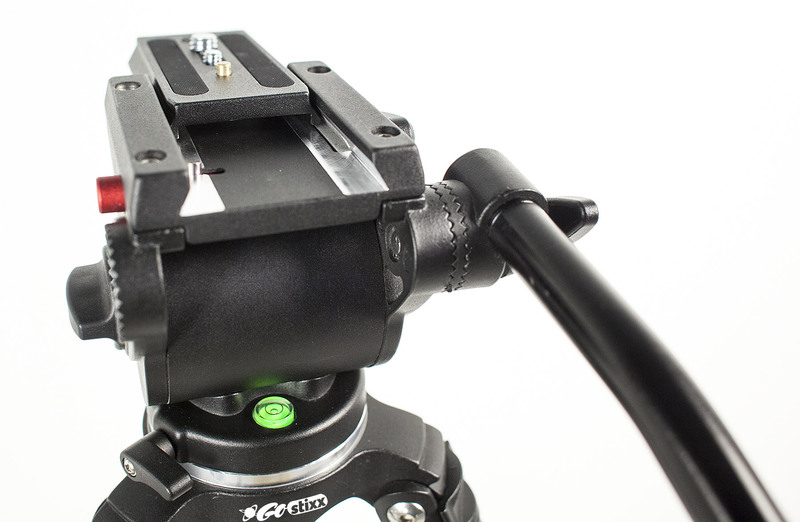 The GoStixx Fluid Head features a precision-machined 75mm ball that allows for fluid pans and tilts, perfect for tracking both slow- and fast-moving subjects. The 90° to -75° tilt range increases shooting opportunities allowing for everything from high-angle table-top food or product shots to low-angle perspectives which place the subject in a dominant position. 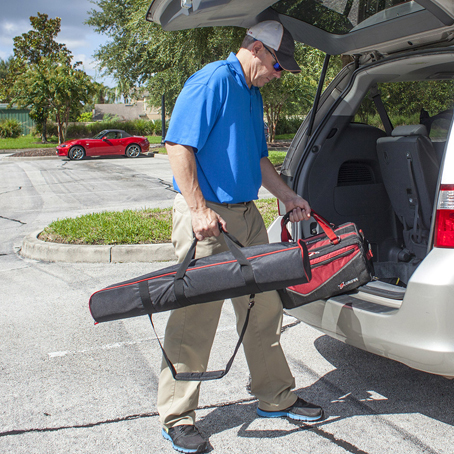 Although compact in design, the head includes must-have features such as pan and tilt lock, bubble level, 3 1/2 inch (88.9mm) quick release plate, and adjustable pan bar with dual left and right mounting options. The ability to collapse or extend the pan bar lets you accommodate for the needs of the location or the weight of the attached camera. 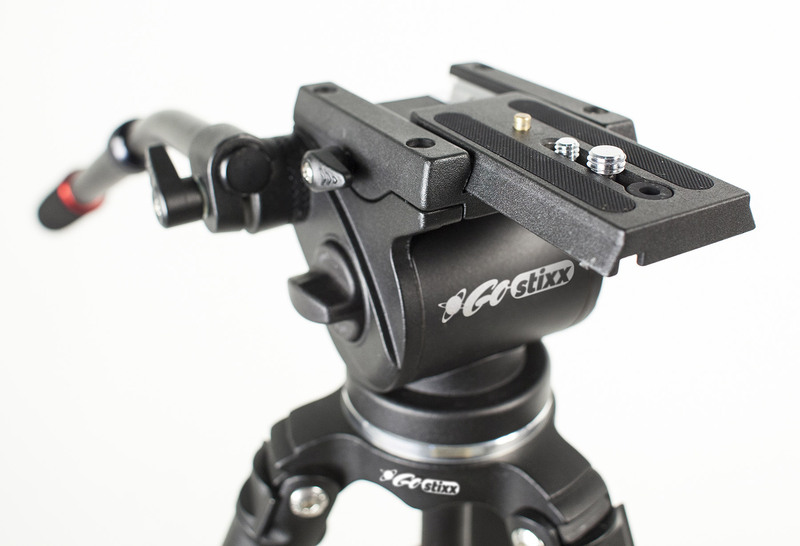 Attaching the fluid head to the GoStixx CF75 tripod is a snap, using the included clamping knob. 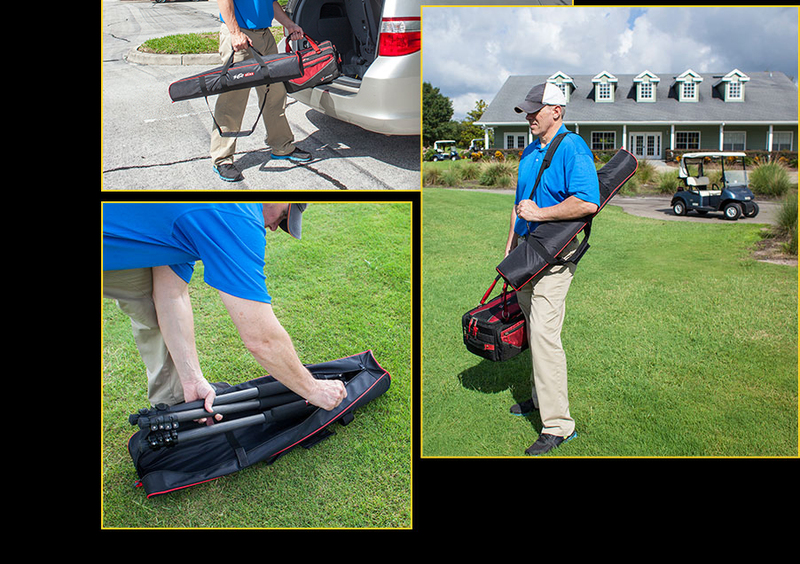 An attractive deluxe carry bag provides easy storage and transport of your tripod and fluid head when moving to and from shooting locations. 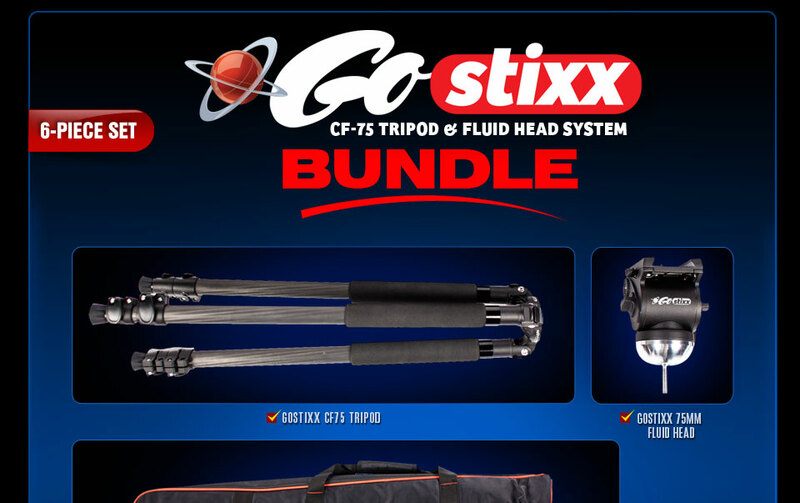 The GoStixx CF75 tripod's carbon fiber design provides superb sturdy small camera stabilization -- whether outdoors on location or in the studio -- yet it is lightweight and compact enough to carry with you wherever you go. 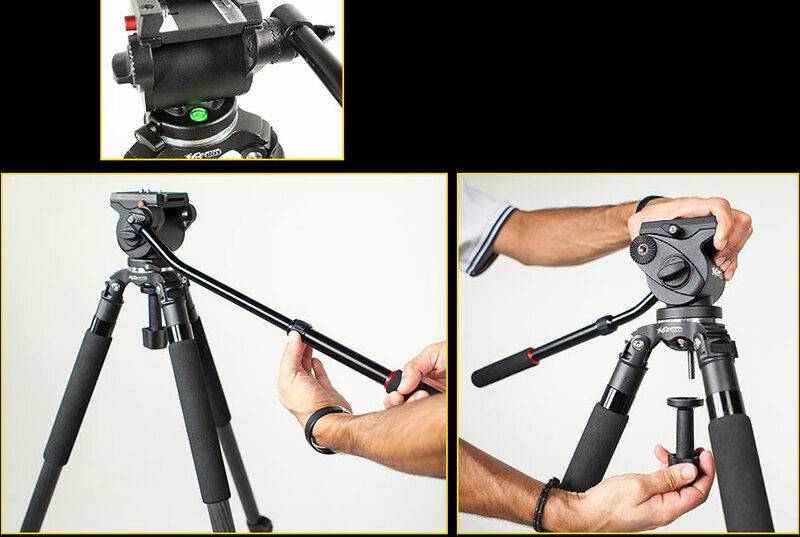 It is also easy to setup and adjust on the fly, because of the tripod's flip-lock leg adjustment and the fluid head's pan & tilt lock levers and adjustable pan bar. 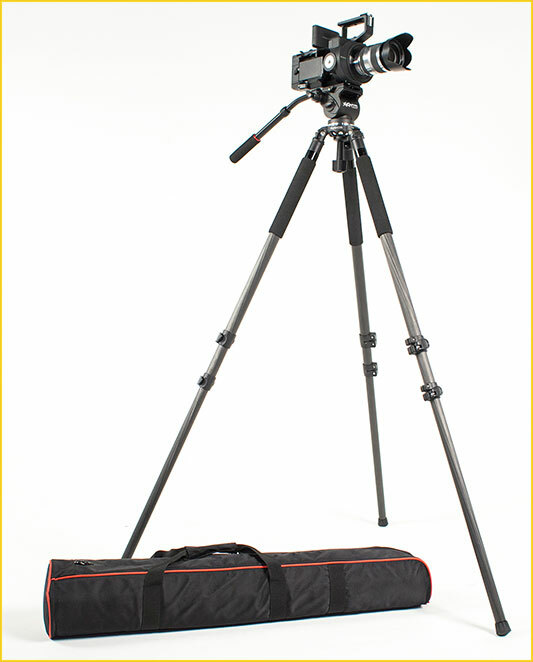 Lightweight carbon fiber design The tripod is easy to carry, climb, or run with from one location to another. 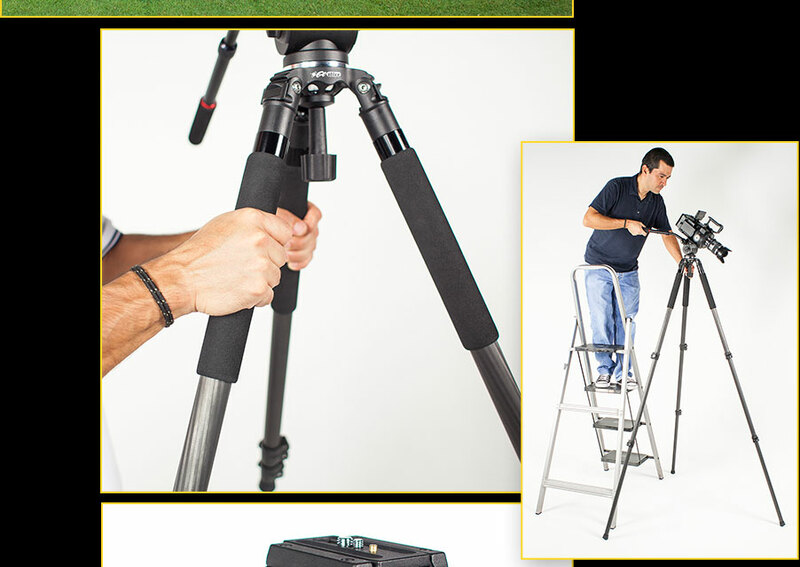 Two-stage telescopic leg design Legs can extend to over 5 feet for eye-to-eye shots, yet collapse down to under 26 inches for low, or up-close and personal shots with your subject. 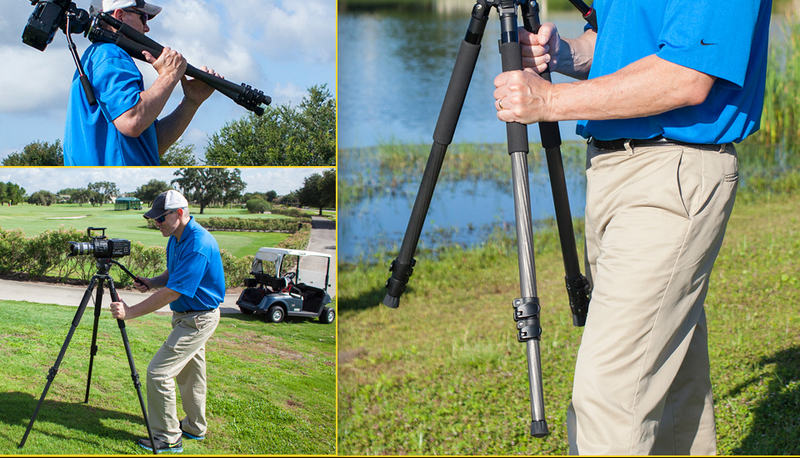 Soft neoprene padded leg grips The tripod is easy to handle and maneuver in all weather conditions. 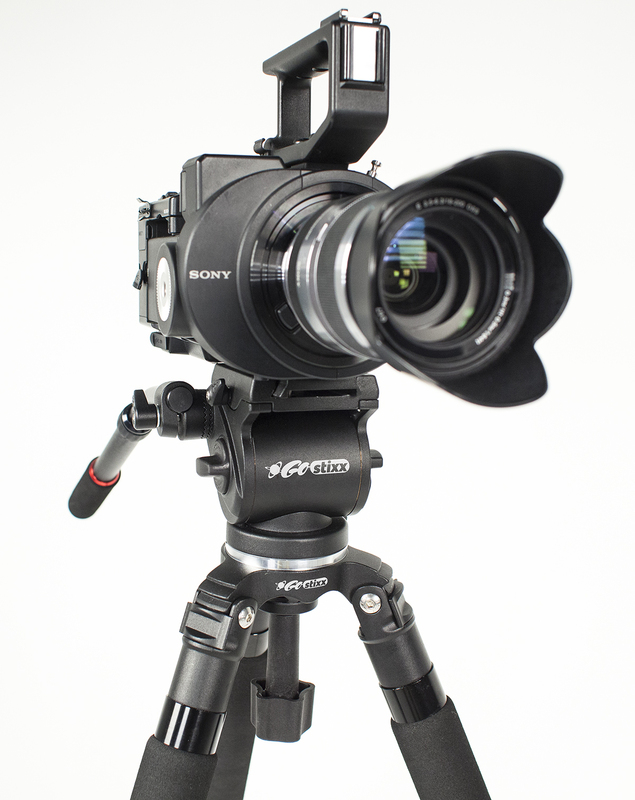 True 75mm fluid head Allows for fluid pans and tilts, perfect for tracking slow and fast moving subjects. Bubble level Helps ensure the head is level when shooting on uneven terrain. 90° to -75° tilt range Increases your shooting opportunities including possibilities for everything from high-angle table-top food or product shots to low-angle perspectives which place the subject in a dominant position. 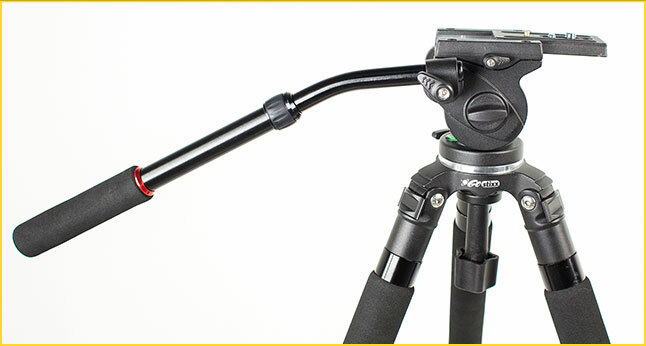 Adjustable pan bar with dual left & right mounting positions Dual mounting positions provides support for both left and right-handed shooters, while the ability to collapse or extend the pan bar lets you accommodate for the needs of the location or the weight of the attached camera. 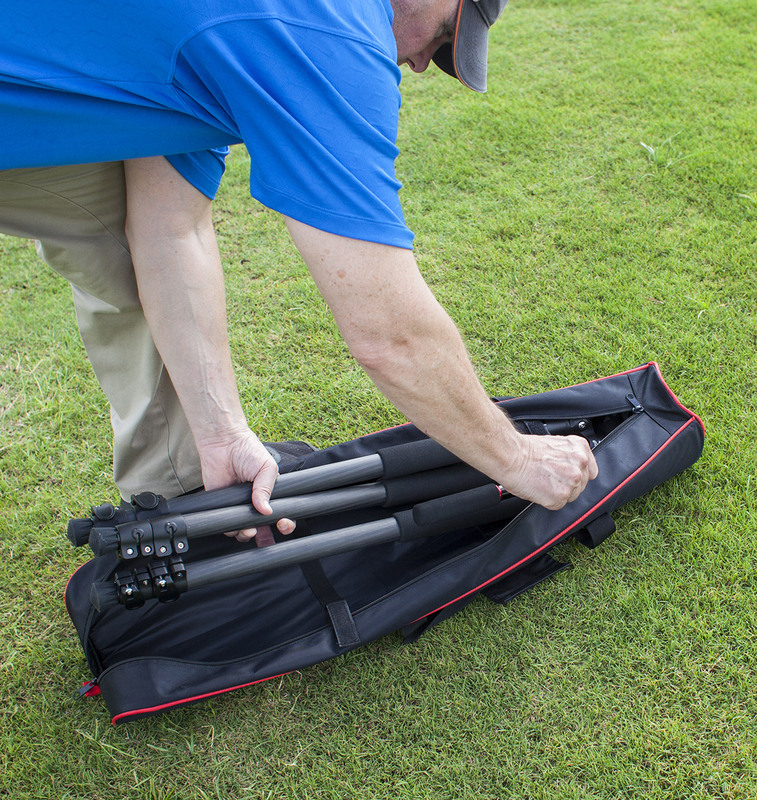 Deluxe Carry Bag Easy storage and transport of your tripod and fluid head when moving to and from shooting locations.